We all buy the little gourds from the grocery store. We are drawn to their unique shapes and sizes. Perhaps you’ve picked up a few for Halloween or for your Thanksgiving decor. What you might not have realized is that gourds aren’t just for decoration. 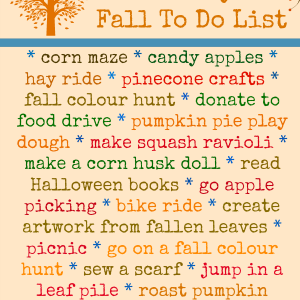 In fact, gourds have been used in crafts for centuries and in countries around the world. 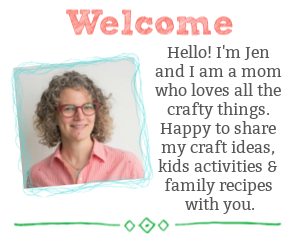 I’ve gathered together a collection of fun and unique gourd crafts that you can make with your kids this fall. 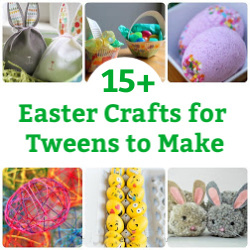 Don’t throw those gourds in the trash…turn them into beautiful and useful treasures. 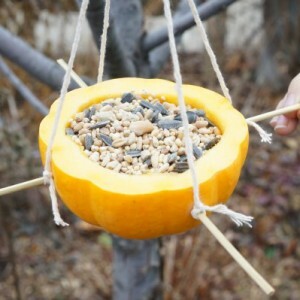 Transform your little pumpkins and gourds into hanging bird feeders. 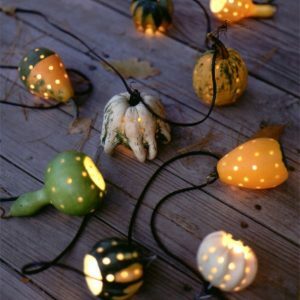 Martha Stewart shares how to make cool gourd hanging lights. 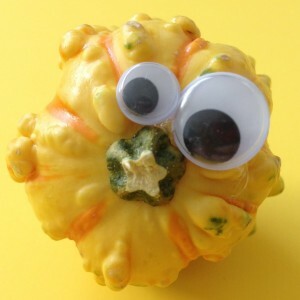 Embrace your silly side with these googly eyed gourds. 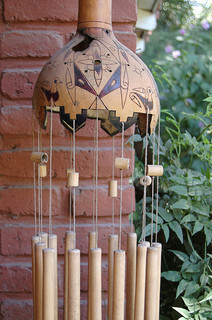 How cool is this dried gourd wind chime? 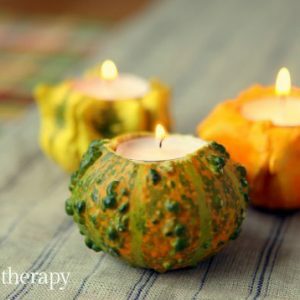 Love how gorgeous and simple these gourd tea light holders are to make, from Garden Therapy. 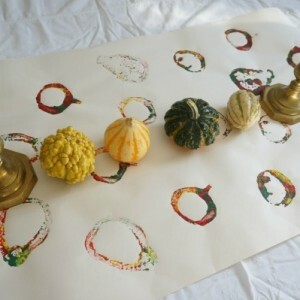 Slice open those gourds and use them as beautiful stamps. 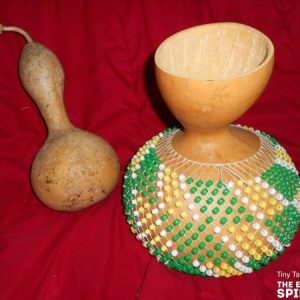 Discover how gourds can be used to make musical instruments on The Educators’ Spin on It. 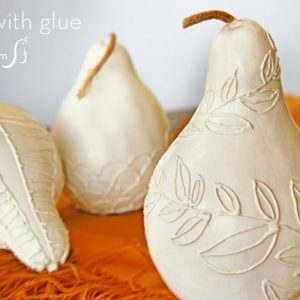 Put the glue gun to work making these gorgeous decorative gourds, tutorial from Everyday Dishes. 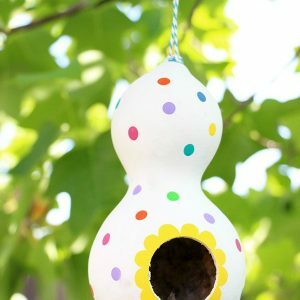 Love to hang this super cute gourd birdhouse from Happiness is Homemade. 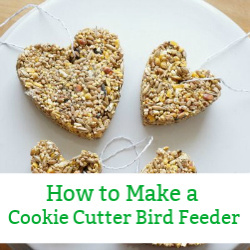 Don’t throw out those little gourds. Whether you give them some time to dry or you use them in their fresh state, gourds are a creative craft supply. 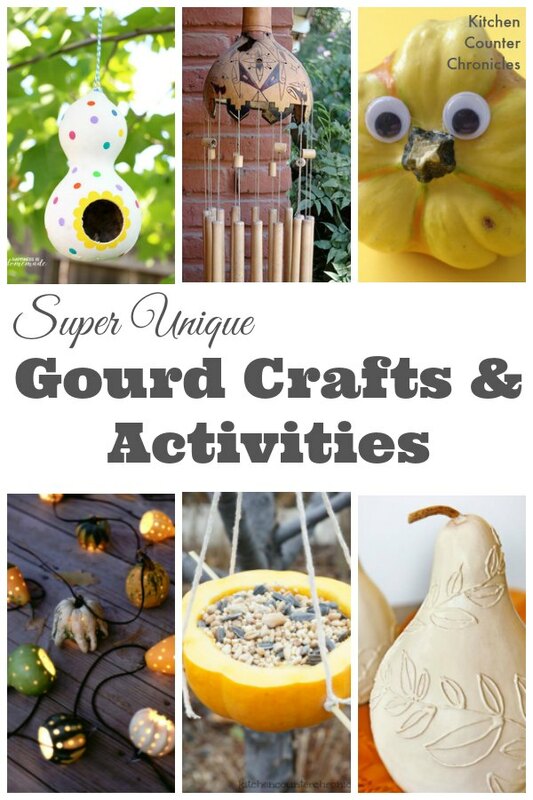 Have you ever made a gourd craft? 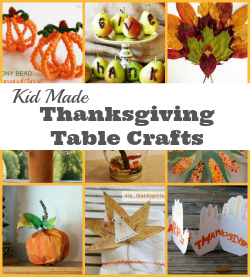 What did you make with your gourds?